Tree Pollen, Grass Pollen, and Ragweed Allergens are Everywhere! In Maryland, we love the great outdoors! But when trees, flowers and grass are in full bloom, allergy sufferers might be more inclined to stay indoors. 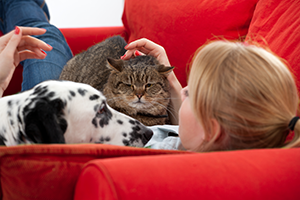 Think You’re Safe from Allergens Indoors? Think Again! Even if you’re lucky enough to find shelter from outdoor irritation, numerous allergens are lurking indoors, just waiting to cause an allergic reaction. Dust mites, pet dander and mold are waiting between the cracks of your floorboards, in carpeting, and even in your bed. Tiny particles of dust and pollen are usually filtered out through the nasal passages or airways, or pass over our skin without harm. Our immune system sometimes mistakes harmless foreign substances as being harmful. When this occurs, the immune system labels the substance as an unwanted guest and produces antibodies in defense. This reaction leads to all of the miserable symptoms which allergy sufferers experience. Need Relief from Allergy Symptoms? A professional allergist can develop a personalized treatment plan to relieve allergy symptoms. Stop suffering with miserable allergy symptoms like sneezing, stuffiness, puffy eyes or red, itchy, irritated skin. Allergic reactions can cause difficulty breathing, fatigue and exhaustion. Precise allergy testing performed by Cumberland Valley ENT’s team of professional allergists will identify the source of your allergic reaction. Our skilled allergy care team will then advise you on all allergy relief treatment options. Treatment options may include injection immunotherapy or sublingual allergy drops. Immunotherapy is a form of allergy relief treatment which involves exposing allergy sufferers to tiny amounts of the allergen or allergens affecting them. As the treatment takes effect, the body becomes tolerant. 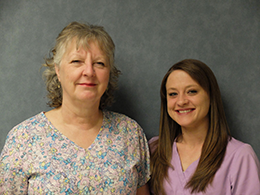 Allergy injection treatments are given by our allergy care team in our Hagerstown offices. Sublingual allergy drops are a convenient form of immunotherapy allergy relief which involve no painful shots. Allergy drops are placed under the tongue using a dropper. Since allergy drops are taken at home, they are a convenient option for kids and adults with busy schedules. Real, effective allergy relief for Chambersburg, Frederick, Martinsburg and Winchester patients is available now in Hagerstown. 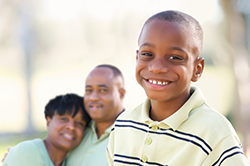 Get exceptional, professional allergy care in Washington County. Sublingual allergy treatment has a low occurrence of side effects, which are generally mild. Allergy drops are safe for use by asthmatic patients.